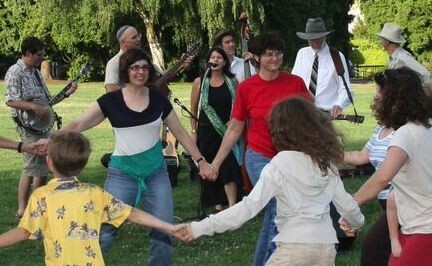 All are invited to eat, sing and enjoy the beauty of the Portland summer with us. Rabbi and J.D. Kleinke will be joined by V’Chaverim, playing a combination of klezmer and jazz. V’Chaverim features Ed Kraus on the clarinet, Steve Cohen on bass Andrew Ehrlich on violin. Bring a chair or a blanket, and pack a picnic dinner to enjoy with the band!